PLANNING TO ATTEND A RALLY? 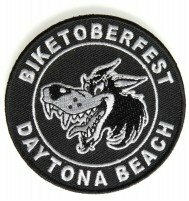 Daytona Bike Week, is a motorcycle event and rally held each year in Daytona Beach,Florida. Right around half a million people attend the rally area for the 10-day event. You can see motorcycle racing, concerts, parties, and street festivals. The event is usually held on the first full week of March and some say it’s as large as the Sturgis Motorcycle Rally as the most popular motorcycle rally in the United States. Starting as a small gathering of local motorcycle enthusiasts in 1997, Arizona Bike Week has grown to be one of the largest rallies in the country. We attribute the event’s tremendous success to a number of factors. First there’s the incredible riding weather and virtually limitless scenic terrain Arizona has to offer. Then there’s the plethora of places to go and things to do in the greater Phoenix/Scottsdale area. Add to that the biker-friendly attitude of our great state and you’ve got all the basic elements needed to throw a tremendous rally. 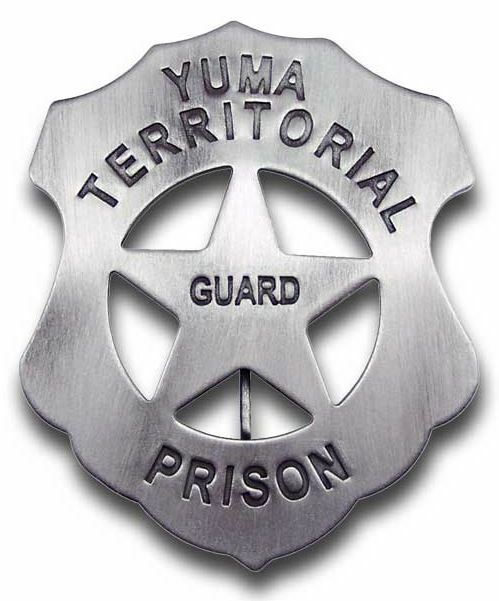 The Yuma Prison Run began in 1961 as a Non-Profit Annual Charitable Event. Our mission, since that early beginning and continuing these last 54 years, has been addressing and contributing to the needs of children.The Members of the Norwalk Centaurs Motorcycle Club and all the volunteers who contribute their time to the success of this event, would like to extend a Special ‘Thank You’ to our patrons. It is your continued participation that makes it possible for us to continue successfully each year with our great mission. . The Laughlin River Run is a fun way to spend an extended weekend. 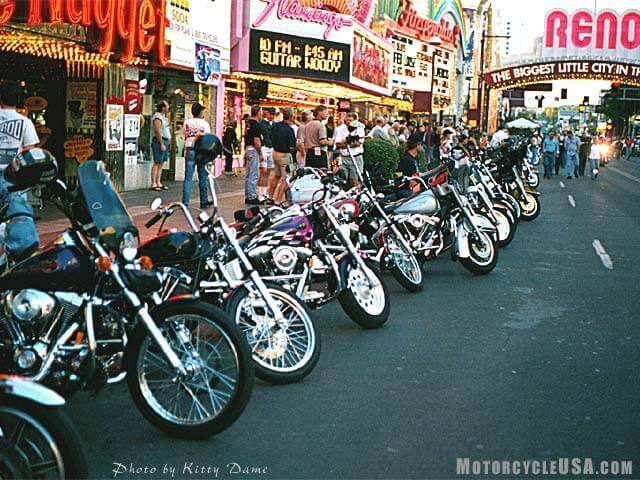 The strip is full of beautiful bikes, casinos, vendors and much more. Step back in time and ride just 30 miles out of Laughlin to a small mining town called Oatman, Arizona. Check out Cool Springs on Route 66 or visit Naked Pirate’s Cove. 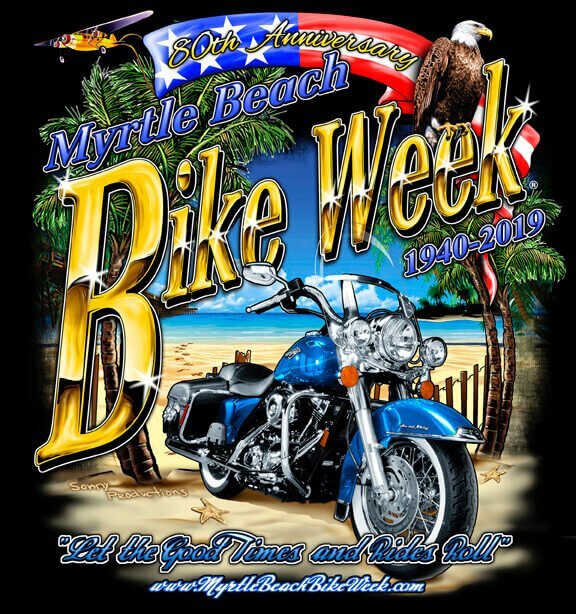 The Spring Rally, which has been the same time of the year since day one beginning in 1940 (yes 1940 was year 1) has changed greatly from 1940 and Myrtle Beach Bike Week® continues to change with the Grand Strand. People come to ride the coastline and enjoy motorcycle tours going to Charleston SC, Georgetown SC, The Wine Tours, Waterfront Tours, The Loop Tour of the Grand Strand and several others. The May Spring Rally brings an estimated 275,000 – 300,000 people to the Grand Strand of SC. Street Vibrations Spring Rally condenses the excitement of Street Vibrations into one weekend in downtown Reno. It’s the tenth annual event and will include live entertainment, slow bike races, ride-in shows, poker runs, scavenger hunts, more than 80 vendors, VIP parties for participants and more. The Republic of Texas Biker Rally has grown with all of you. Today, we have built a strong community of thousands of bikers and bike enthusiast, and we thought it was time for ROTRALLY.COM to have a facelift! We are proud of our community and this year we are committed to giving you our very best. Our very best of attractions and entertainment, our very best Rally experience and our very best online experience. If you can only choose one National Rally to attend in 2019 – choose the one you have to ride the furthest to! And if riding is your pleasure then we hope you’ll be joining us for Laconia Motorcycle Week® in 2019 because In Laconia… We Ride®! Although our legacy as the World’s Oldest Motorcycle Rally® is because our gypsy tour began in 1916, our legacy has continued because of our unmatched scenic riding throughout the beautiful State of New Hampshire. 500,000 riders, concert fanatics, and street-food enjoyers attend the Sturgis Motorcycle Rally every year. Sturgis is located in the Black Hills of South Dakota, only minutes away from Mount Rushmore, Crazy Horse, Devils Tower, Custer State Park, and some of the most scenic riding in the country. Check back on this. The site doesn’t seem to be correct on dates…Be sure to mark your calendar for the Milwaukee Rally. You’ll experience live music, factory tours, food, vendors and so much more. Las Vegas is a party on it’s own with the casinos and the night life. but Bike Fest adds vendors, live music, food, custom bikes, hot girls and so much more. Ride in the City or cruise around Nevada or maybe hit up Hoover Dam for the day. Either way, it’s sure to be a rally to remember. Soak up the sun, live music and watch the pros compete in Daytona International Speedway’s Motorcycle Races. Enjoy a walk on the beach! 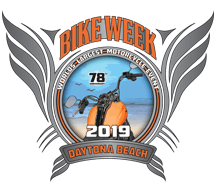 Between the thrill of a live race to cruising on your bike on one of our top rides, you can experience what motorcyclists have been feeling about Daytona Beach since 1937. The greatest motorcycle rally just south of the border into Mexico.Four days of sun, fun, bikes, music and fiesta on the shores of the Sea Of Cortez in Porto Penasco, (Rocky Point), Mexico..